Urs is on Wednesday 7th November 2018 (Depending on Lunar date of your country). A Highly inspiring programme of Fateha-e- Hazrat Hassan (R.A) is performed at a specific demise at the shrine in Ajmer Sharif. Hazrat Hasan ibn Ali ibn Abi Talib born March 4, 625 CE (Ramadhān 15th, 3 AH) – died 28th, 50 AH, aged 47) is an important figure in Islam. He is the son of Hazrth Imaam Ali (Kram Allah wajhu) and his wife Fatimah (R.A), The the daughter of the prophet Muhammad (PBUT). Hazrath Hassan ibn Ali was Poisoned thus died ( in Medina on Safar 28th, 50 AH. He is buried at the famous Jannatul Baqee‘ cemetery across from the Masjid al-Nabawi . Urs sharif is on 18th Muharram 1440 Hirjri. This is approx Saturday 29th September 2018 (Dependant on the Lunar date of your country). HadratImam Hussain kept most of his children names attached to the name Ali. This was due to his love for his fatherSayyidunaAli (RadiAllahuTa’alaAnho). He was thus also named Ali. He was also known as Abu Muhammad,Abul Hassan,Abul Qaasim and Abu Bakr. His titles wereSajjad, Zain al-‘Abideen, Sayyid ul Abideen, Zakkiand etc. 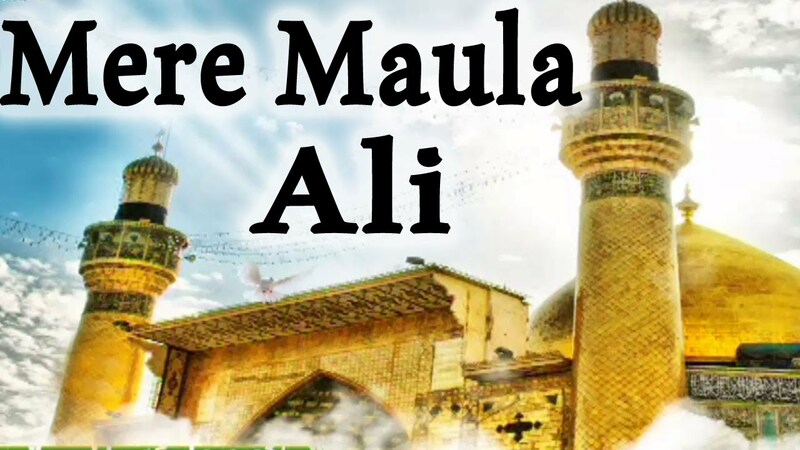 His mother was known as Umm-e-Wulad, and was also known as ShaharBanu RadiAllahuTa’alaAnha. She was very pious and Allah fearing. He was the image of his grandfather Sayyiduna Ali (RadiALLAHuTa’alaAnho). He was tan in complexion and not very tall. He had a full beard on which he used henna (mehndi). Imam Zain al-Abideen(RadiALLAHuTa’alaAnho) agreed to pray to Allah Azzawajal on his behalf. ImamTalhaShafi’i(RadiALLAHuTa’alaAnho) writes that once shaitaan appeared in the form of a snake whist the Imam was in Salaah. He caught the toe of Hadrat Imam Zain al-‘Abideenin his mouth, but the Imam did not even move or show sign of discomfort. After some time, he became disillusioned and stood a distance away from the Imam. Then, a voice was heard thrice, saying the following words, You are the Jewel of the Worshipper, You are the Chief of those who prostrate (to Allah). Hadrat Imam Jaafar Saadiq(RadiALLAHuTa’alaAnho) says, When my grandfather,Hadrat Imam Zain al-‘Abideen(RadiALLAHuTa’alaAnho) used to recite the Quran, then the beauty of his recitation attracted the people towards him and all those listening to him would become so overwhelmed with the fear of Allah, that one did not know the condition of the other. O RahmatulilAalameen! Assist Zain al-‘Abideen. After saying this, he asked them to leave his presence. In other words, he showed them that they were not from amongst theMuhajireen, or theAnsaar, or even from amongst the believers. He therefore shunned them for being disrespectful to the Khulafa-e-Thalaasa. This is Approx: Saturday 26th May 2018 (Sunday 27th In Ajmer sharif). Approx Friday 17th or Saturday 18th November (Depending on Lunar date of your country). A Highly inspiring programme of Fateha-e- Hazrath Hassan (R.A) is perferomed at a specific demise at the shrine in Ajmer Sharif. Hazrath Hasan ibn Ali ibn Abi Talib born March 4, 625 CE (Ramadhān 15th, 3 AH) – died 28th, 50 AH, aged 47) is an important figure in Islam. He is the son of Hazrth Imaam Ali (R.A) and his wife Fatimah (R.A), The the daughter of the prophet Muhammad (PBUT).